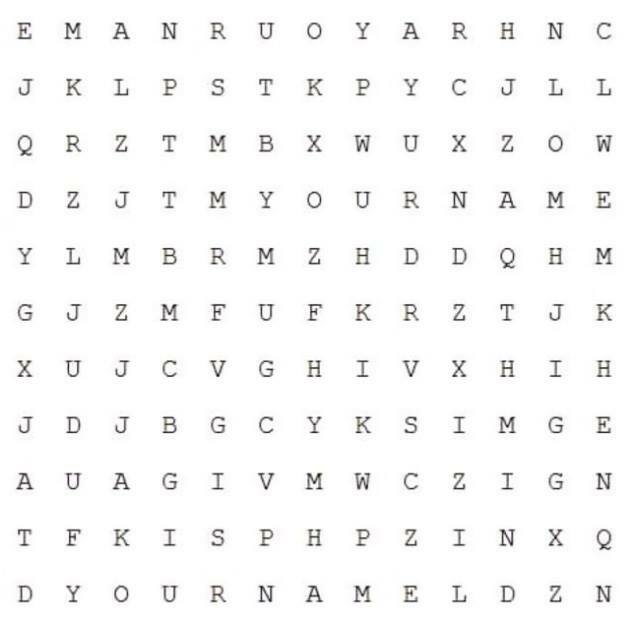 If You Can Find YOURNAME In The Below Letter Puzzle You Have An Above Average Functioning Brain. 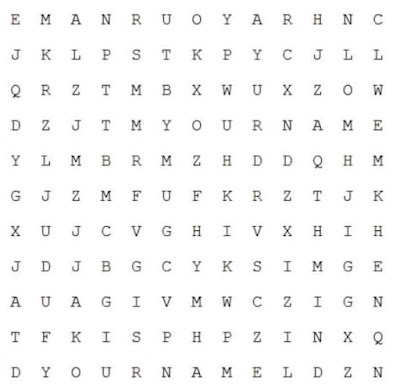 You can find the word "YOURNAME" in the first row and it is not your real name. Read backwards from the 8th letter 'Y'.